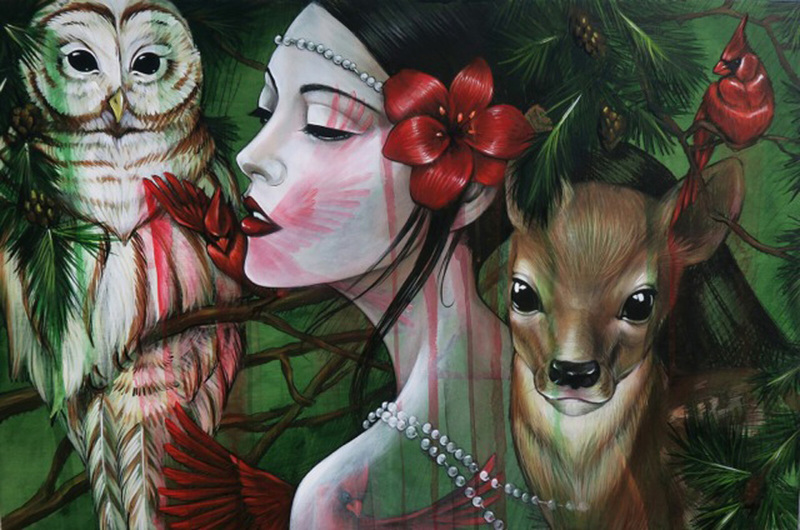 Amandalynn is continually inspired by the beauty of nature and the characters found within. She is fascinated by the seasonal changes that occur not only within the flora and fauna of the world, but also that happen within a personal life cycle. 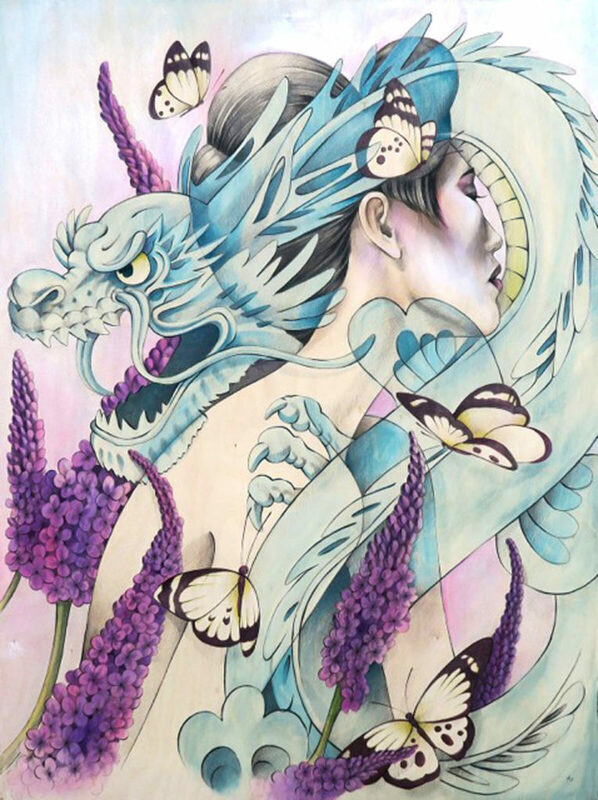 Amandalynn has created a new series of paintings and murals, illustrating the different moods, emotions, and energies that occur during the varying cycles of life and nature. Over the course of this past year, she has witnessed the delicate beauty of new life, the calm still of passing life, and the joyous passion received from living an inspired life. Amandalynn intends to capture the beauty of nature’s cyclical change within this newest series of work titled, ‘Seasons of Change,’ opening Saturday, May 14, 2016 at Distinction Gallery in Escondido, CA. 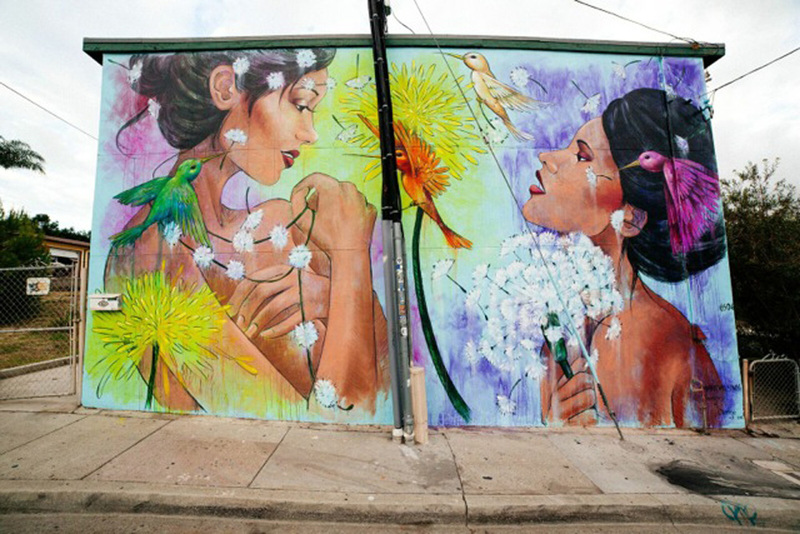 In addition to this new, highly anticipated series, Amandalynn has painted three ‘Seasons of Change’ murals around the San Diego area. She is currently in the process of a fourth mural this week at Distinction Gallery, to be unveiled at the opening on Saturday.